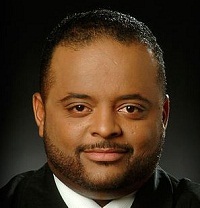 9/12/16- Roland Martin talks to pollster and President of brilliant corners Research and Strategies, Cornell Belcher about the current state of the polls, campaign numbers, money and more. “When younger volunteers are a lager part of the electorate than seniors, Democrats tend to do well,” Belcher said. I was saying why do blacks have to be persuaded to go out and vote?? Why do blow have to been persuaded to go out and vote. Not just for presidents but for any election. But we’re quick to go protest. Go vote!! Damn! Ppl can not vote if they want to but if u wake up and on nov 8 and trump is the next president This country will sink back into a hell hole.